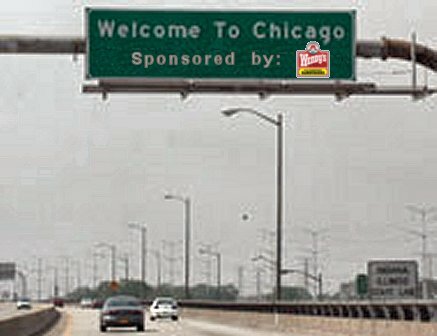 So, you're a really rich corporation just dying to put your name on something in Chicago, but renaming the Skyway isn't your thing. Don't worry! With the right amount of money, you may be able to slap your name on just about anything in the Windy City. Last week, Chicago officials sent out requests for proposals to marketing firms, to see if any corporations would be interested in sponsoring city buildings, events, festivals, programs and even vehicles. A sponsor would have to be "consistent with the city's values." So, as the Tribune notes, you probably won't be seeing "Penthouse Magazine's Millennium Park." But Chicagoans could conceivably find themselves driving up The Boeing Magnificent Mile before too long.